The innovative Mini PLUS water colour set is ultra compact yet practical. The set is so small it can fit straight into your pocket. It features a number of different integral mixing surfaces and a colour tray that can be used in multiple positions in the set. There’s even a stand for your brush, so you don’t lose it. 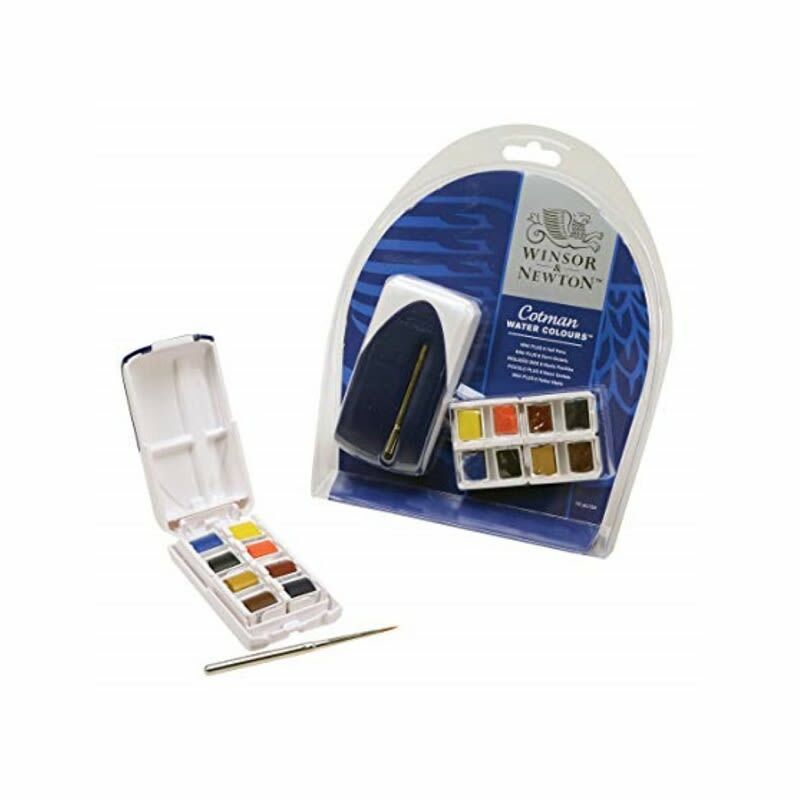 The Cotman Mini PLUS set contains: 8 x Cotman Water Colour half pans 1 x Cotman pocket brush (No.5).